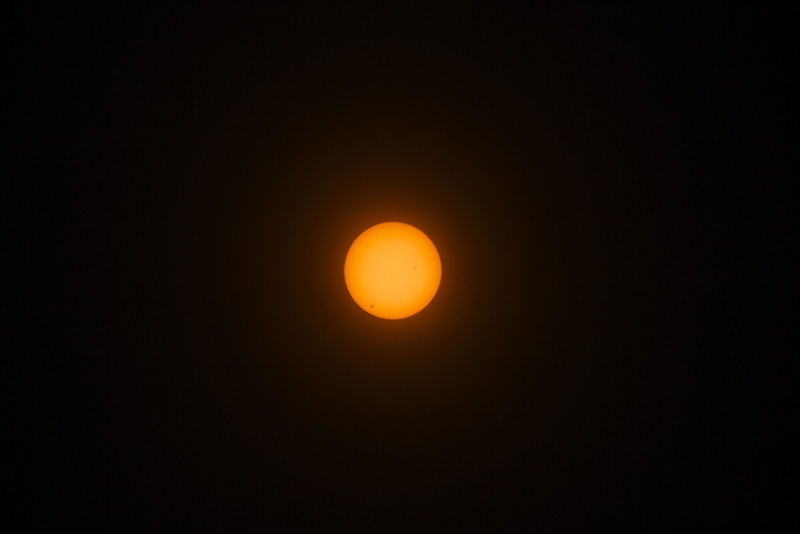 Using my home made solar filter attachment for my DSLR, I did my first solar observing test today. I couldn't have asked for anything more for a first try! How exciting! Not only do I have a ballpark set of numbers camera settings to use on the partial eclipse, but I was able to observe and identify sunspots for the first time ever! Same as above with sunspot active regions labeled. 2192 recently produced a large solar flare (link). So this solar observing test also prompted me to learn a little more about sunspot naming or labeling. It turns out, "There is no naming or numbering system for sunspots. There is a system for numbering active regions, however. An active region can contain one or more spots. The National Oceanic and Atmospheric Administration (NOAA) numbers active regions consecutively as they are observed on the Sun" (source). 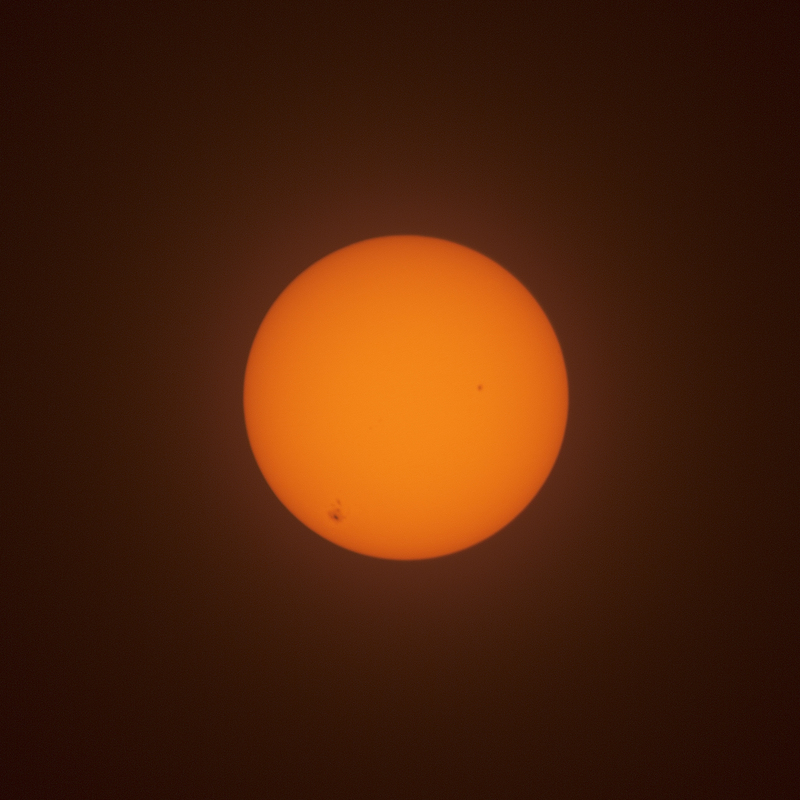 During this test, the sky wasn't totally clear - but I was still able to observe sunspots. Can't wait to try it again when the sky is perfectly blue. 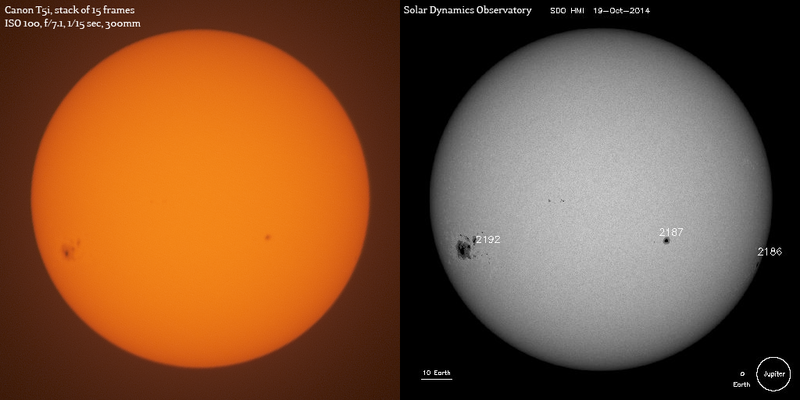 I looked up the sunspot active regions on the SOHO website and easily compared it to my photos. Here is a side by side version. I had to rotate my sun to match the orientation of the SDO image. Comparing my photo to the SDO image at the same time, you can clearly see the two large active regions, and faintly make out the two tiny ones in between. They are more apparent if I crank the contrast but it ruins the look of the image. I learned a lot about taking photos in the daytime. It was really difficult trying to focus on the sun, but I used the live view method of zooming in and manually adjusting while looking at the large LCD screen. The reflection on the screen was so bad, I had to cover myself and the back of the camera with a jacket in order to see it clearly. I felt like one of those old-timey photographers with the hood over the back of the camera. Also, in case you were wondering what the photos look like straight out of the camera, here is an untouched shot prior to stacking and cropping. It still has a pleasing orange color because I'm using black polymer instead of Mylar. 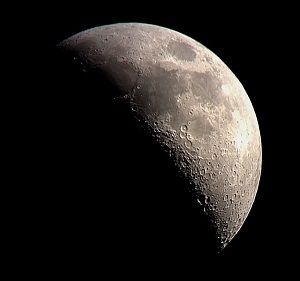 To compare, I think the telescopes had Mylar filters for the transit of Venus event that I photographed with my iPhone through the eyepiece.